Ellie Kelly was on a mission to study Physiotherapy or Occupational Therapy when circumstances caused to her to stumble across Podiatry, and she was hooked! 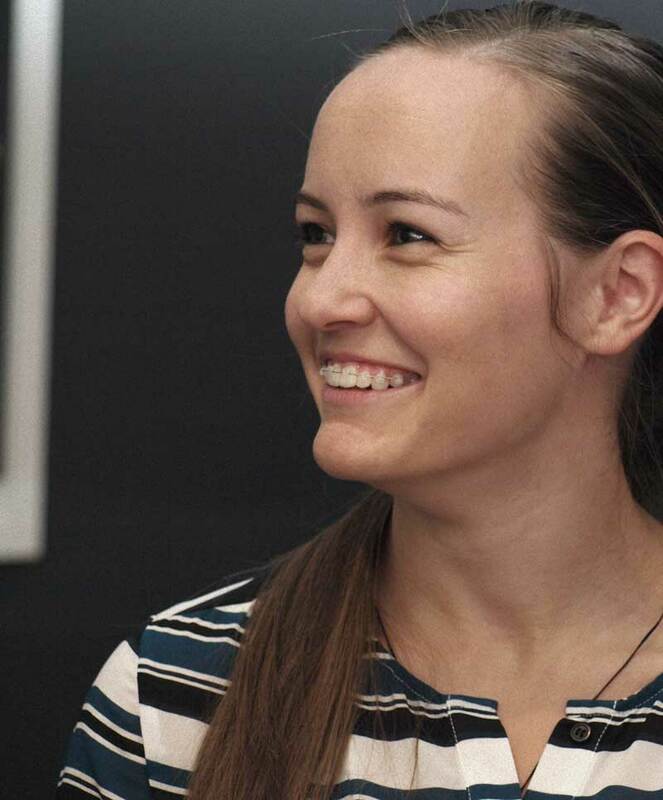 She studied a Bachelor of Podiatry at the University of Newcastle, and as part of her studies completed placements at the Western Sydney Hospital High Risk Foot Clinic and a Paediatric Podiatry Clinic at Queensland Health. Until joining us she was working with the experienced team at “The Foot Clinic” in Canberra. Outside of University, Ellie has been heavily involved with gymnastics on a local, national and international level for more than 19 years, holding advanced certifications in both coaching and judging. This significant experience with both sport and children has given her a particular interest in Paediatrics and Sports Medicine. Ellie’s areas of special interest are: Biomechanics (the study of human movement and locomotion), General Paediatrics, Orthotic Therapy, all aspects of general podiatric care including Warts, Ingrown Toenails, and Diabetic and Neurovascular Foot Assessment. Brad has always had a strong interest in making a tangible difference in people’s lives. With this in mind he originally began studying aviation in order to become a volunteer pilot for underprivileged people in outback Australia and around the world. This drive is also what led him to volunteer for a year at a mission school in Sydney in 2008. This drive was then coupled with a keen interest in understanding how the human body works and in particular the incredible biomechanics of the human foot in 2010 when he began studying Podiatry at the University of Western Sydney. 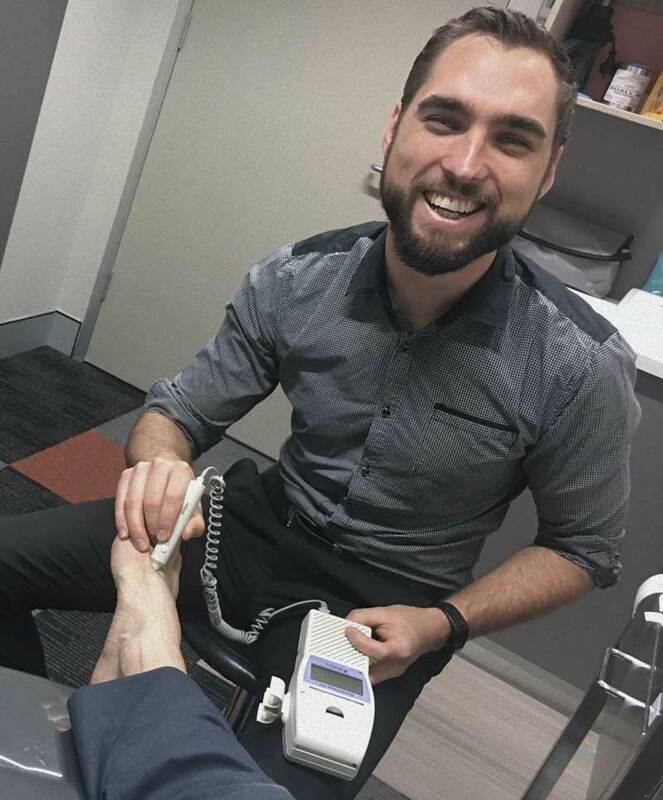 Completing his studies at the University of Newcastle in 2013 Brad has been working closely with an array of complex diabetic feet within the high risk foot clinic of Hunter New England Health. This experience has set him up to manage a wide range of different foot problems and given him a dedication to seeing his patients problems resolved as thoroughly and efficiently as possible. When he’s not tending to peoples feet, he enjoys jamming on his banjo, spending time with his family or taking to the squash courts for a swing. Brad draws a deep satisfaction from seeing the smiles on his patients’ faces after having their feet tended. He particularly enjoys working with people’s biomechanical needs and prescribing and modifying orthoses to fit those needs. Bradley’s mission is to provide the highest standard of podiatry possible, and to give each patient the care, respect and compassion that he would want, if he was in their shoes. We’re here to help you keep your feet happy! Phone us on 02 4323 9100 or fill out the form and our team will be in touch with you promptly. Thank you for your interest!